The Merrow MG-3DRWL sews a tight and narrow rolled hem on delicate fabrics such as silk, nylon tricot, and similar sheer material. It is equipped to sew long seam applications at high speed (5500 RPM). The Merrow MG-3DRWLsews a tight and narrow rolled hem on delicate fabrics such as silk, nylon tricot, and similar sheer material. 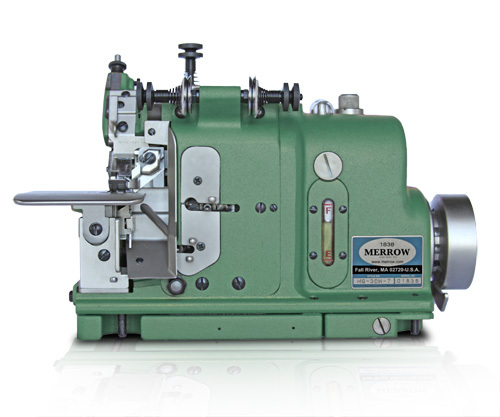 Like all Merrow MG Class sewing machines, the MG-3DWRL is engineered to sew consistently and uniformly, and will last for decades with routine maintenance. The MG-3DRWL sews at high speed (5500 RPM), but will not pucker or curl fabric during operation, resulting in a tight straight-hanging seam. 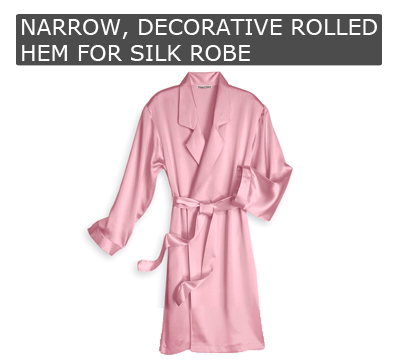 It is engineered to handle delicate material and sews sheer and gossamer materials exceptionally well. The MG-3DRWL utilizes a specially adapted needle plate and presser foot finger which fold the material down before sewing, and sews a long and straight yet dainty seam. Because of its fabric handling capabilities, the MG-3DRWL is used to sew delicate garments such as women's lingerie and sleepwear. 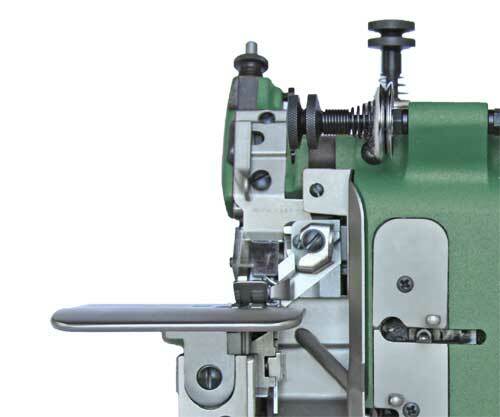 It is also used as an edging machine for sheer curtains and other applications that use lightweight synthetic fabric. We will build out a custom machine, at no charge, and sew your material off on the MG-3DRWL (or other machine if appropriate). If you would like a video of the process we will provide this along with the sewn sample.